The diesel engine is a type of the internal combustion engine – an engine that burns fuel internally. It was invented by a German engineer Rudolf Diesel, and the engine was named after him. The diesel engine was designed to improve the efficiency of internal combustion engines so that more distance can be traveled. Engines that were used before the invention of diesel engine were the steam engine and gasoline engine. The steam engine had an efficiency of about 6%, and the gasoline engine had an efficiency of 12%. The diesel engine that was designed by Mr. Diesel had an increased efficiency of 26%. It was a major breakthrough in the field of engineering. 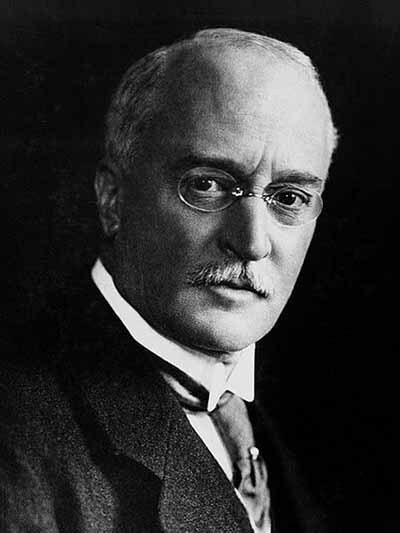 Rudolf Diesel had started his career by working as a refrigerant engineer before he moved towards the improvement of the combustion engines. Mr. Diesel first worked on improving the steam-powered engines by using vapors of ammonia. Unfortunately, his test engine exploded violently. The violent explosion made him seriously injured. After recovery from his injuries, he left working further on steam engines. He had a new idea in his mind that was based on a theory that said “Highly compressed air cause a better combustion process”. So, he set up a laboratory, where he worked for 8 years in constructing a working engine. The working of the engine was completely based on the use of compression ignition in its combustion process. Finally, Mr. Diesel constructed an engine, which he called diesel engine – naming after himself. Mr. Diesel registered a patent of the invention in 1894. Mr. Diesel had calculated the theoretical efficiency of his engine to be 75%, but he could only achieve 26.2%. The efficiency of Mr. Diesel’s engine was less than his calculated efficiency, but it was still better than other engines of that time. Diesel engines became very popular due to their efficiency and power. There were more than 70,000 working diesel engines around the world by the end of 1912. Diesel engines allowed industries to perform heavy duty tasks much more economically. Suction stroke: Air is taken inside the cylinder during the suction stroke. Compression stroke: After suction, the cylinder of engine begins to compress the air, so that its temperature raises to a level that fuel can be ignited readily. 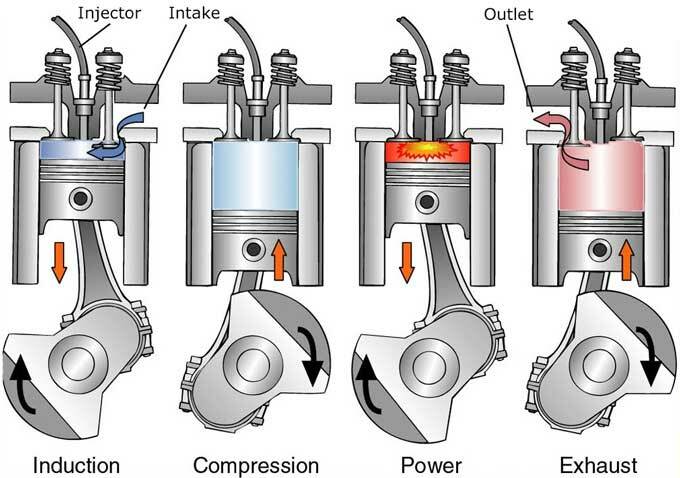 Injection stroke: At the end of the compression stroke, fuel is sprayed through the injector. The fuel ignites when it comes in contact with the air that has been heated due to compression. As a result, the temperature and pressure of the gasses in the cylinder increase. The increased pressure forces the piston to move downward and generating the power. Exhaustion stroke: The gasses formed due to ignition of fuel after injection stroke are exhausted from an outlet valve. After the 4th stroke, the cycle again repeats from the suction of air and to exhaustion. As a result, the power is produced continuously. Abdul Wahab, "Diesel Engine," in Science4Fun, April 13, 2019, http://science4fun.info/invention-of-diesel-engine/.